After years of internal struggle and rather poor releases, front man Geoff Tate finally parted ways with the rest of the band resulting currently in two different versions of Queensrÿche. To be clear, this self-titled release is the one with new vocalist Todd La Torre who joined forces with original members Michael Wilton, Eddie Jackson and Scott Rockenfield. The former Crimson Glory front man brought obviously back a creative force of energy that hasn’t been heard since a long time. 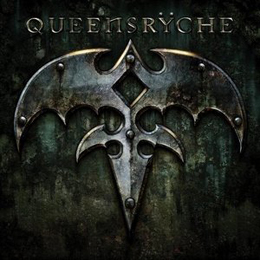 With this album Queensrÿche is returning to their original sound of their early recordings such as ‘The Warning’ and ‘Operation: Mindcrime’. And although it isn’t a masterpiece album (yet), it certainly is a mighty step in the right direction. While keeping an own identity La Torre’s voice and timbre comes very close to the original resulting in a perfect match for the complex and solid sound of this album. Add to this the excellent production of James ‘Jimbo’ Barton and you have an excellent album that contains all the ingredients of yesteryear. The last decade I lost interest in Queensrÿche but now they have back my full attention with an album that’s a return to form and where perhaps the only (minor) letdown is the total running time of 35 minutes. But fans of the ‘early stuff’ certainly gonna love this one.